Antique Stools are one of the earliest forms of seating dating as far back as the the Middle ages and Egyptian times. The antique stool was more well known and used in the 17th century mainly in rural farm houses; kitchens or public rooms with three legs of a simple trestle construction. The later Georgian stools resembled the base of chairs built during this period, consisting on a single upholstered seat and standing on four decorative carved legs. Since the Georgian period different designs were made to fulfil many different uses, especially in the Victorian era. The piano stools was revolving so could be adjusted to different heights making it more comfortable for the musician. This same design was used in the bedroom for the dressing table stool, although these would usually be more decorative with carvings and have comfortable upholstery, occasionally with needlework tapestry. 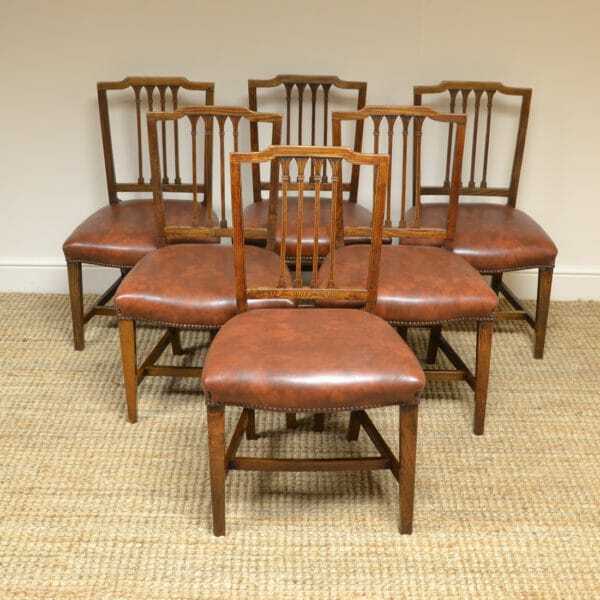 Stools are one of those useful pieces that do not take up much room in your home but come in handy when you have extra guests so are quite popular pieces of antique seating. 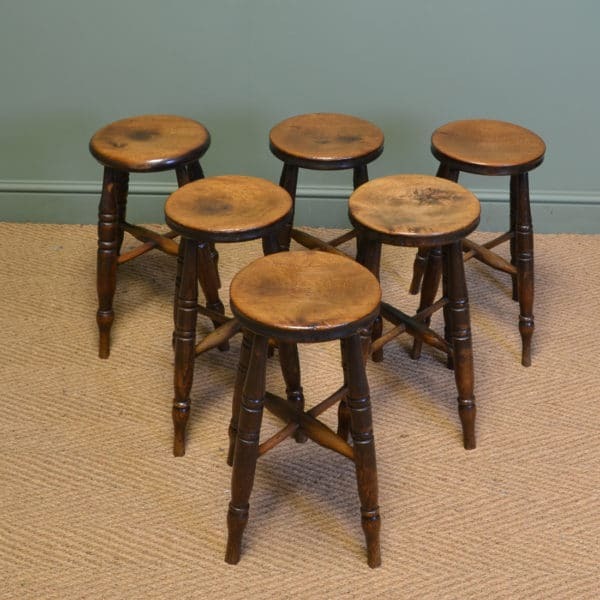 Have a look below at our lovely examples of antique stools available for sale and if we do not currently have what you are looking for, why not join our mailing list and this will update you with newly added stock. Below are a few examples of stools that we have sold, if any particular style looks of interest, let us know and we can try to find you something similar. 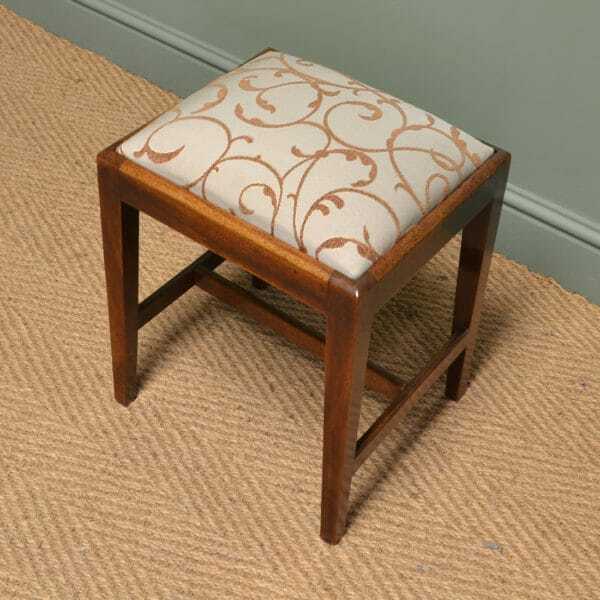 Quality, Queen Anne Design, Antique Edwardian Walnut Upholstered Stool. 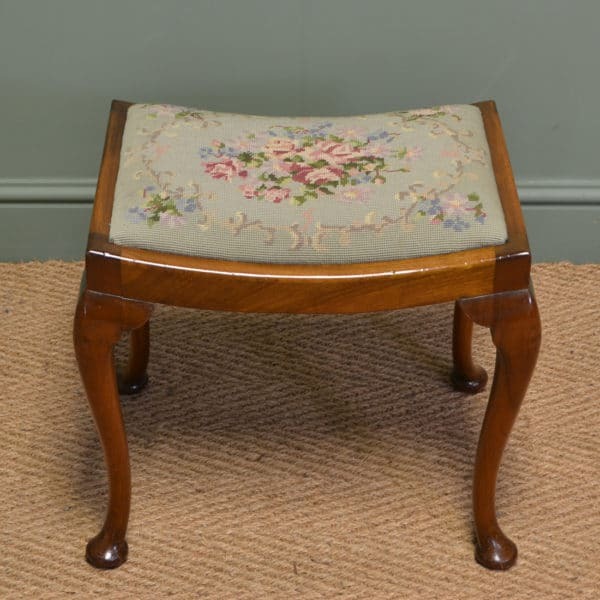 Dating from around 1900, but in a period Queen Anne design, this lovely antique upholstered stool is constructed from walnut. 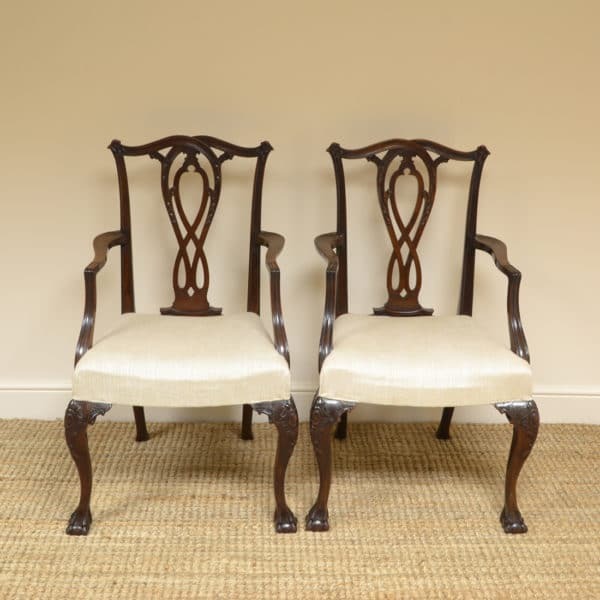 It stands on delightfully carved, fabulous quality, cabriole legs with shell decorations and unusually shaped pad feet. 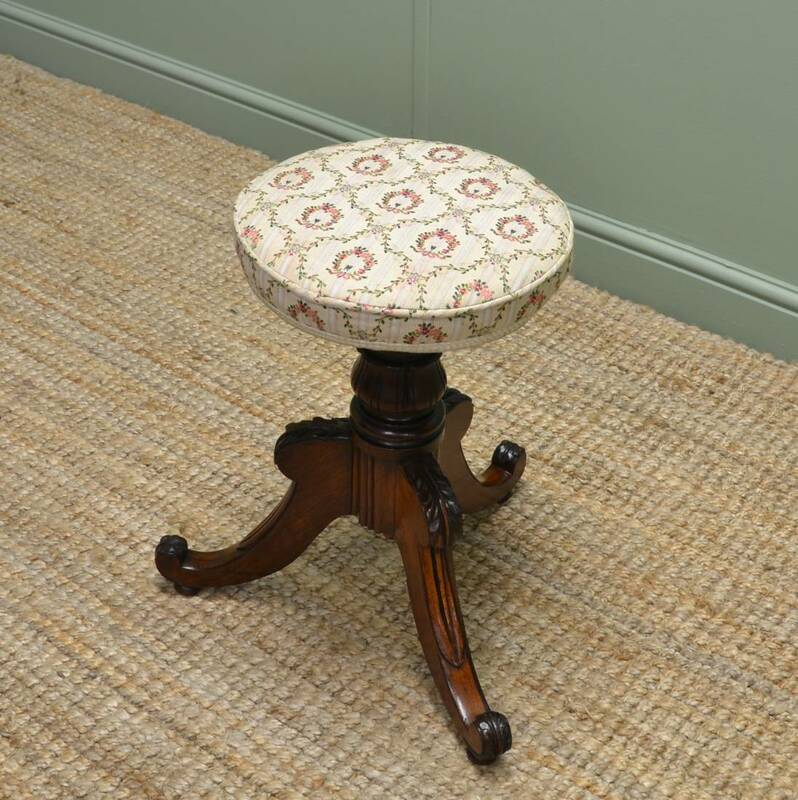 The upholstery on this antique stool is in a neutral finish and in very good condition. 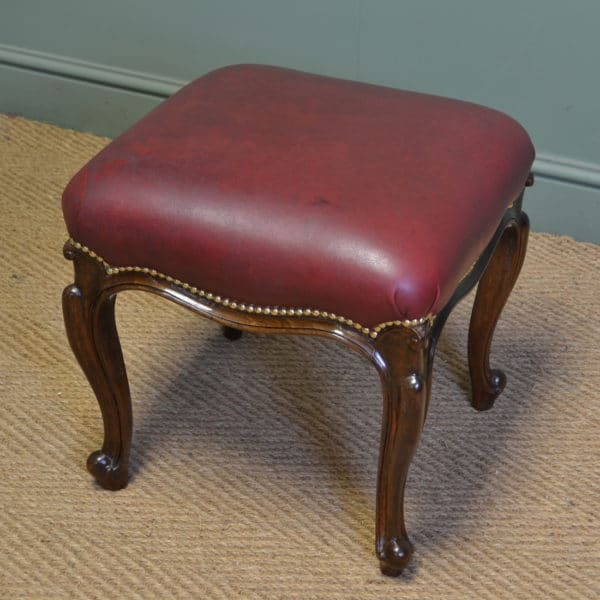 Large Superb Quality Upholstered Antique Foot Stool. 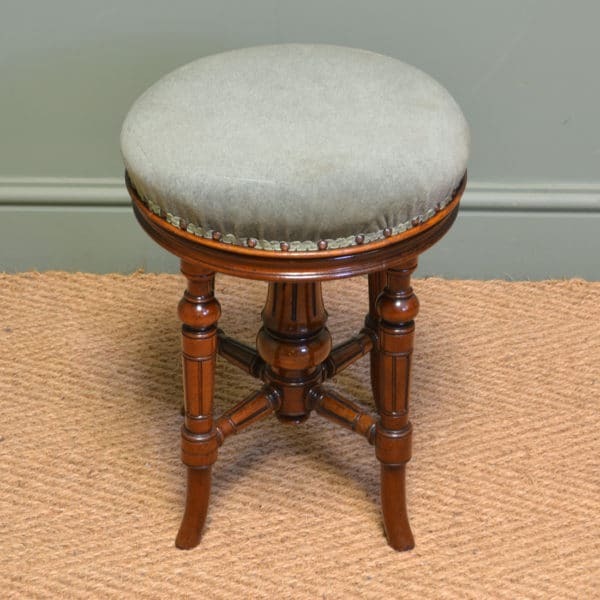 Constructed from legs dating from around 1900 in the Edwardian period this antique stool oozes a quality finish. 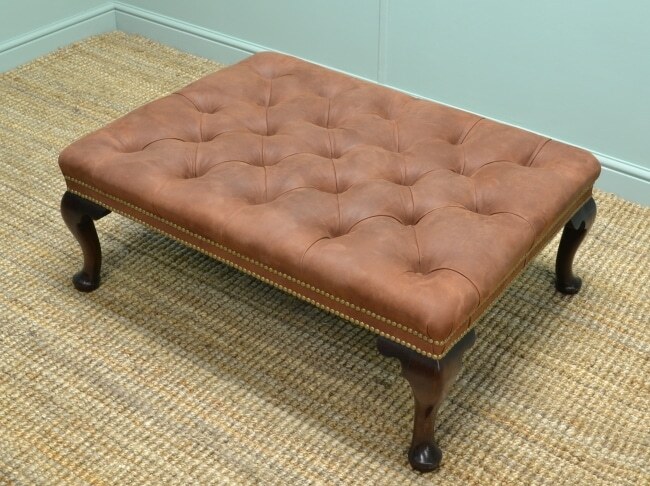 The traditional buttoned design and cabriole legs are very on trend at the moment. It has a suede leather finish with button detailing and brass stud trim, the quality of workmanship used in constructing this is self evident. 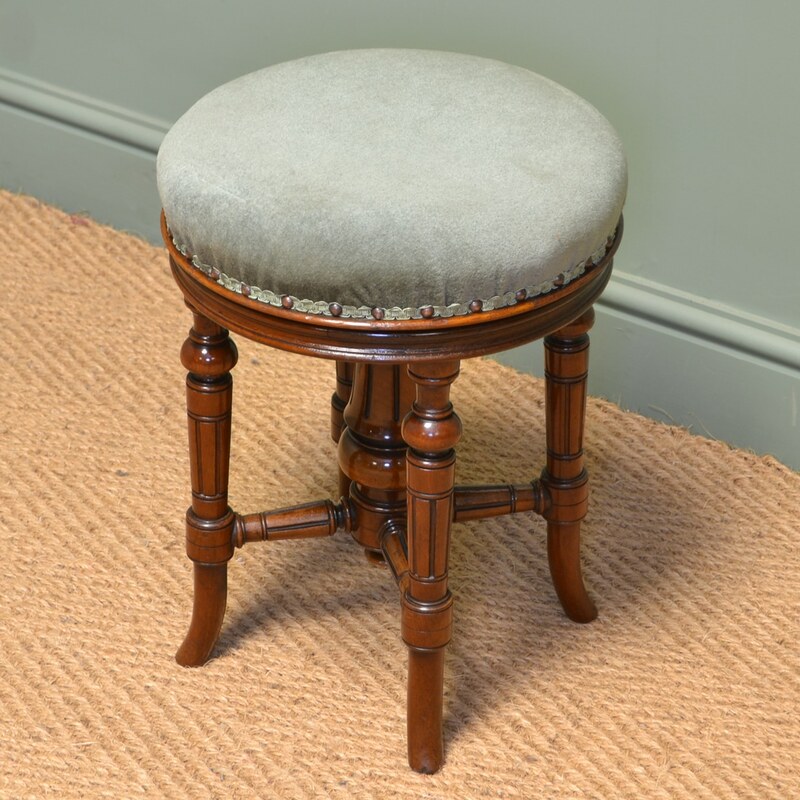 Dating from around 1835 in the William IV period this delightful stool is made from rosewood. 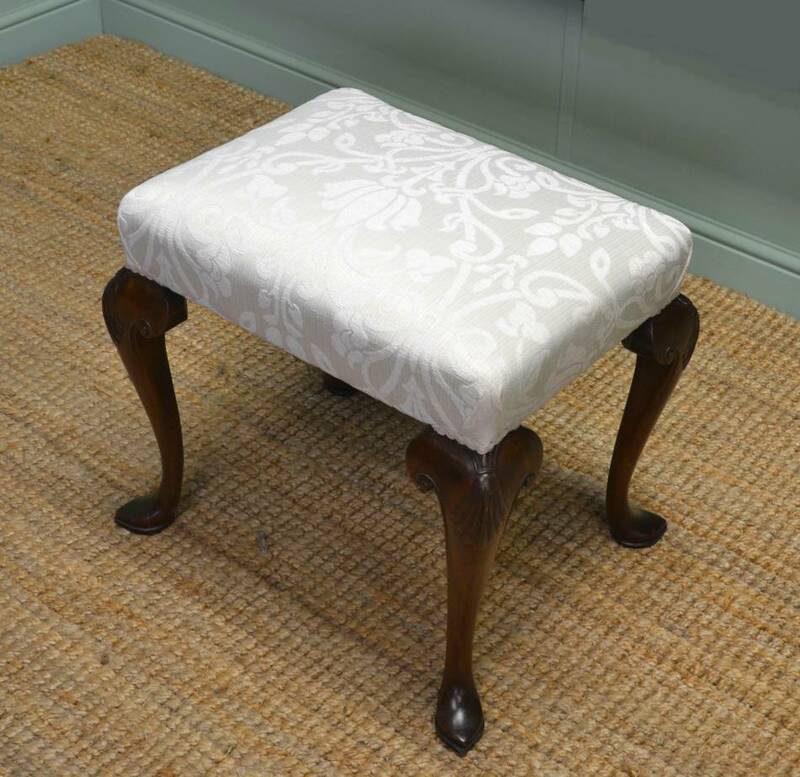 The seat has been upholstered in a floral fabric and can be adjusted in height to the desired level with the original wooden screw mechanism. It stands on a central turned pedestal with tripod splayed legs finished with small bun feet. Acanthus leaf carvings to the pedestal and legs add that extra decoration making it a very pretty piece.